Edencroft has 6 New additions to it’s range this week including some great Islay (Caol Ila) whiskies. The ages of the new whiskies range from 25 to 47 Years Old. Summary: Graham Menzies & Co operated and built up the Sunbury Distillery from the mid 1830s unfortunately the site had no room for further expansion. so he built a replacement initially called the Edinburgh Distillery in 1855. Shortly afterwards the name was changed to the Caledonian. There is a now a housing estate occupying the old distillery site . Summary: The Carsebridge distillery was foundend in 1799 by John Bald. Carsebridge was first a malt distillery but was changed to grain distillery in 1851-1852. The distillery was closed in 1983 and demolished in 1992. Summary: When this distillery closed I was almost beside myself with disappointment… and rage. Following the closure of Cambus, this left Dumbarton as the brightest star in the collapsing star in the collapsing grain whisky galaxy. This bottle will give year oldu some insight into just why I treasured it so greatly; certainly more so than the bead counters at Allied who saw its potential as prime real estate over its ability to keep making arguably the best blended Scotch whiskies in the world. My main point of surprise now is why so few bottlings from this giant of a distillery ever see the shelves. Summary: Excellent and unexpected early arrival of spice which adds serious oomph to the buttery toffee that tries to lead. Golden syrup and maple syrup fight for the sugary context (and what a delight that is!). Summary: Old Malt Cask Promotion. Abbey Whisky’s latest stock arrivals are below and include a Craigellachie, a Glen Grant as well as a fine Japanese malt. 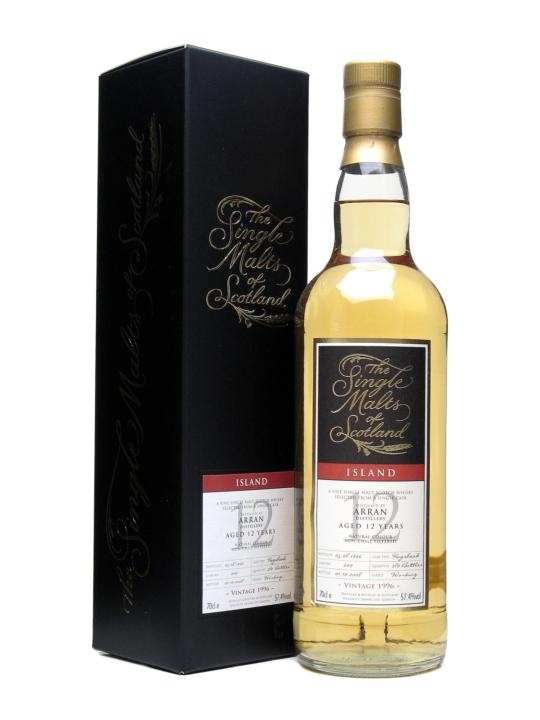 Master of Malt – New Whiskies! Master of Malt has 67 New additions to it’s stock this week with whiskies from the following regions and / or countries: American, Campbeltown, English, Highland, Irish, Island, Islay, Japanese, Lowland, Speyside and Swedish. 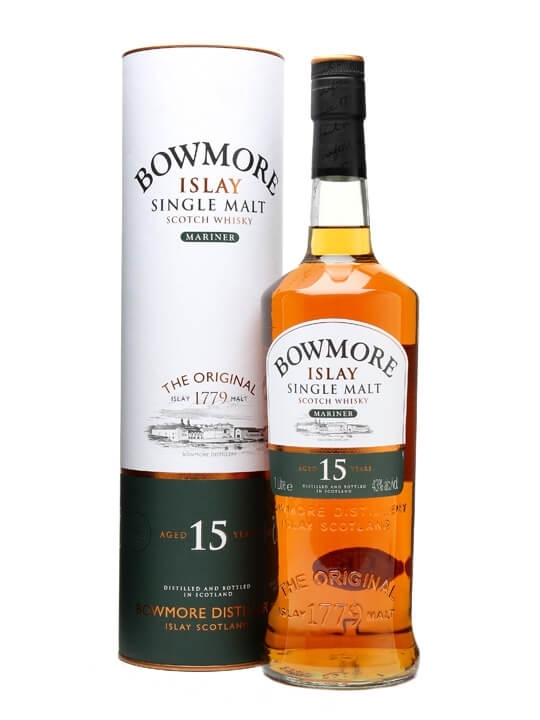 The brands include Auchentoshan, Balvenie, Benriach, Benrinnes, Benromach, Bladnoch, Bowmore, Bruichladdich, Bunnahabhain, Caol Ila, Clynelish, Dalmore, Glen Elgin, Glen Moray, Glenfarclas, Glenfiddich, Glenlivet, Glenmorangie, Highland Park, Laphroaig, Littlemill, Longmorn, Macallan, Mortlach, Port Ellen, Royal Brackla, Springbank, Strathmill, Tomintoul & Tormore. 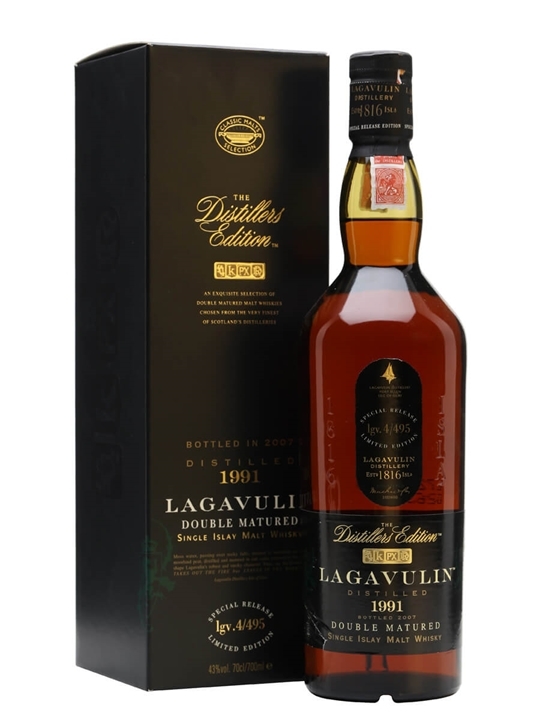 The Whisky Exchange – New Arrivals! 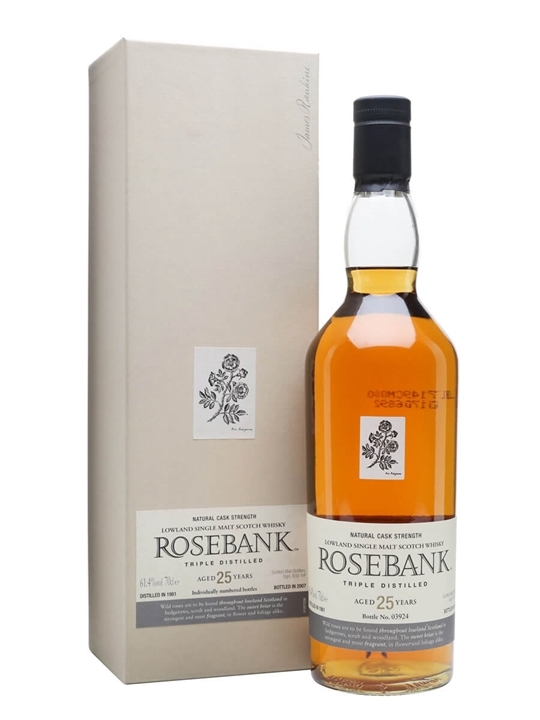 The Whisky Exchange has 59 New additions to it’s range this week with whiskies from regions and / or countries such as: American, Campbeltown, Canadian, Highland, Irish, Island, Islay, Japanese, Lowland and Speyside. The brands include Ardbeg, Arran, Auchentoshan, Balvenie, Benriach, Bladnoch, Bowmore, Bruichladdich, Dalmore, Glen Moray, Glenfarclas, Glenfiddich, Glenlivet, Glenmorangie, Islay Whisky, Kilkerran, Knockando, Lagavulin, Laphroaig, Linkwood, Macallan, Port Ellen, Rosebank, Springbank & Talisker. The ages of the new whiskies range from 9 to 70 Year Old malts. 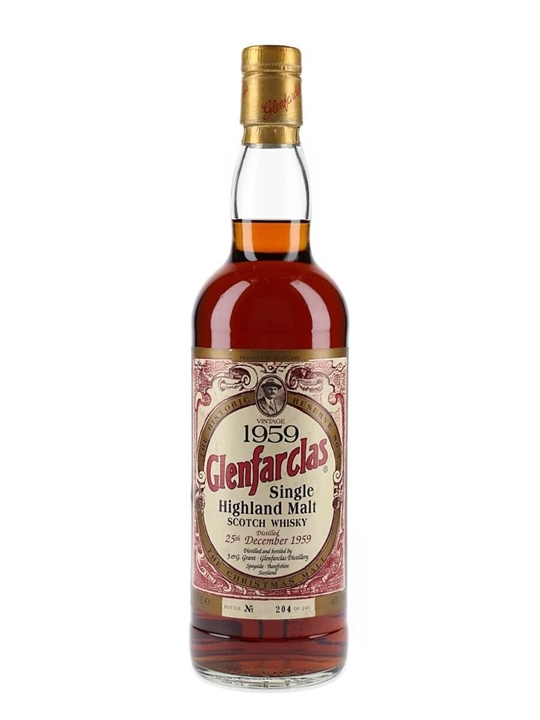 Summary: 70cl / 46% / Distillery Bottling – A simply stunning refill sherried Glenfarclas at a phenomenal age. What is amazing about this whisky is that the oak is not too intrusive and while there is obviously a big fruitcake sherry character, it isn't overwhelming and the balance is still there. Probably one of the greatest malts ever released from this truly great distillery. 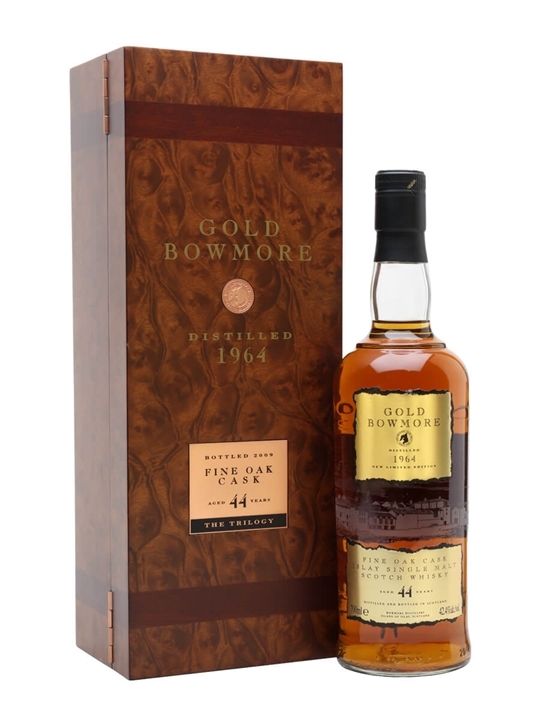 Summary: 70cl / 42.4% / Distillery Bottling – The final release in the new Bowmore 1964 trilogy, Gold Bowmore is a marriage of three bourbon casks plus the last (and supposedly the best) of the staggeringly good Oloroso casks from this momentous vintage. 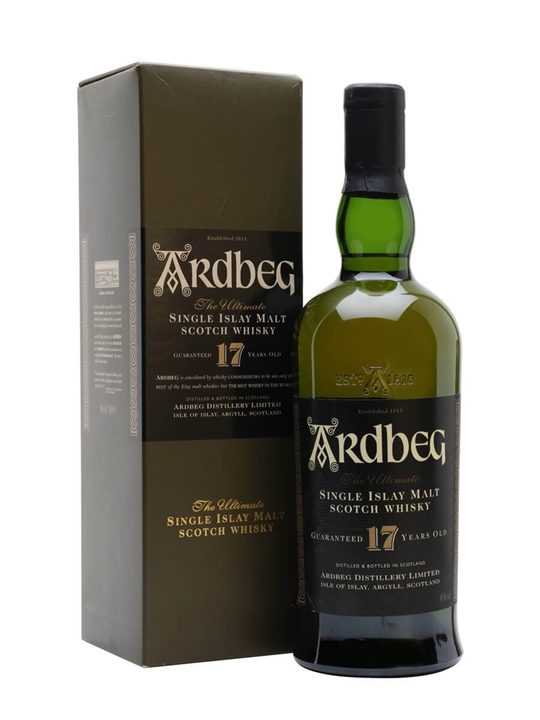 Summary: 70cl / 40% / Distillery Bottling – A tad less peaty than early bottlings, the classic Ardbeg 17yo is still a great whisky, but is sadly becoming very thin on the ground as demand increases and supply runs low – it's now a good few years since owners Glenmorangie discontinued it. The first bottling of this sparked the revival of Ardbeg's fortunes after the takeover by Glenmorangie. 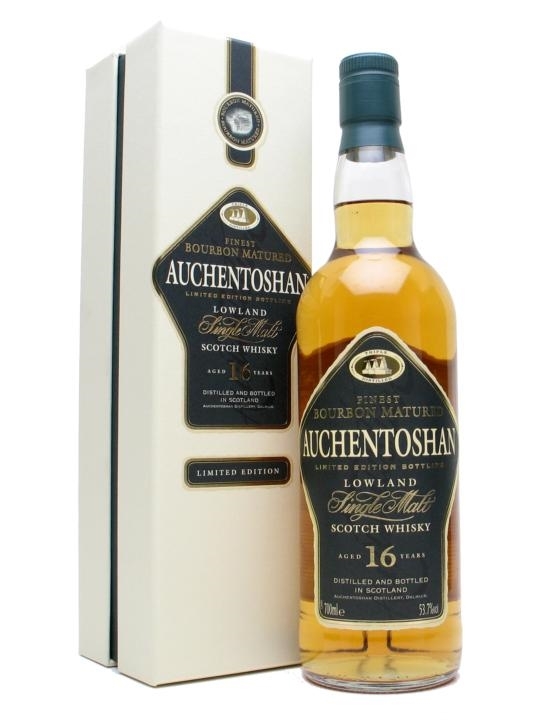 Summary: 70cl / 53.7% – A 16yo cask-strength Bourbon-matured limited release from Auchentoshan. Summary: 70cl / 61.4% / Distillery Bottling – Not at all what you might expect, this is a powerhouse of a malt. Big, full and extremely spicy, with a massive abv for the age and some delicious polished maltiness. A tour de force. Summary: 70cl / 57.4% / Speciality Drinks Ltd – A powerful cask-strength Arran from a single hogshead filled in 1996, just a year after the distillery was established. 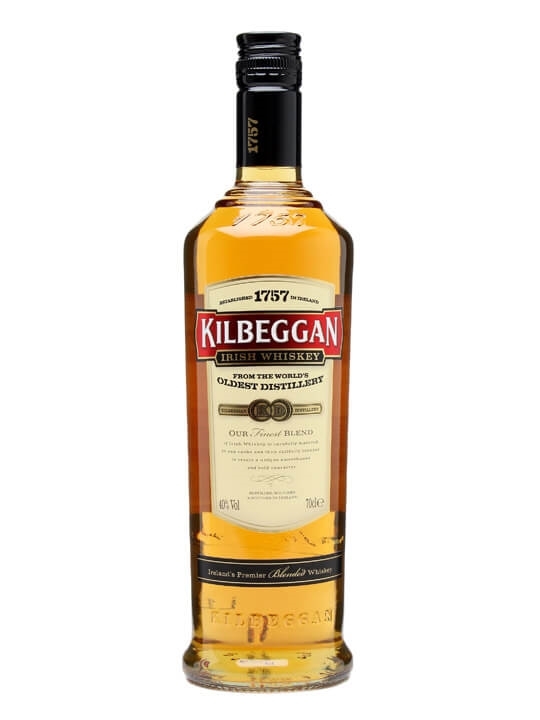 A drop of water will bring the best out of this sweet-smelling, peppery dram. 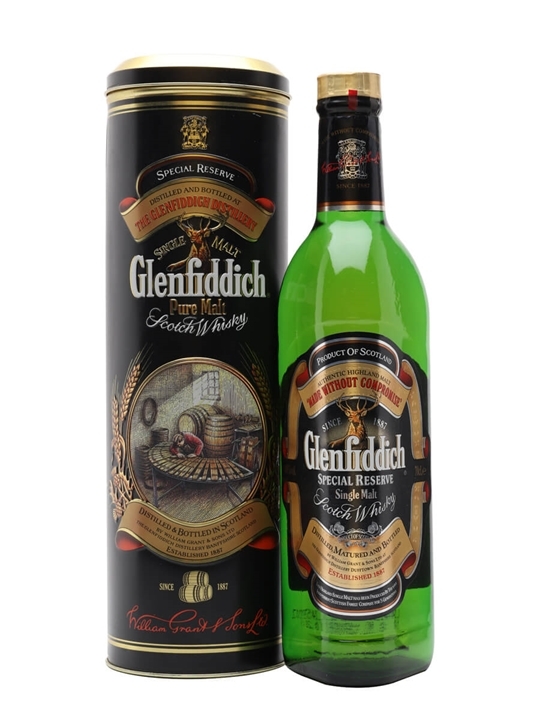 Summary: 70cl / 40% / Distillery Bottling – An old bottling of Glenfiddich. The 'Pure Malt' special reserve is no longer produced by Glenfiddich. 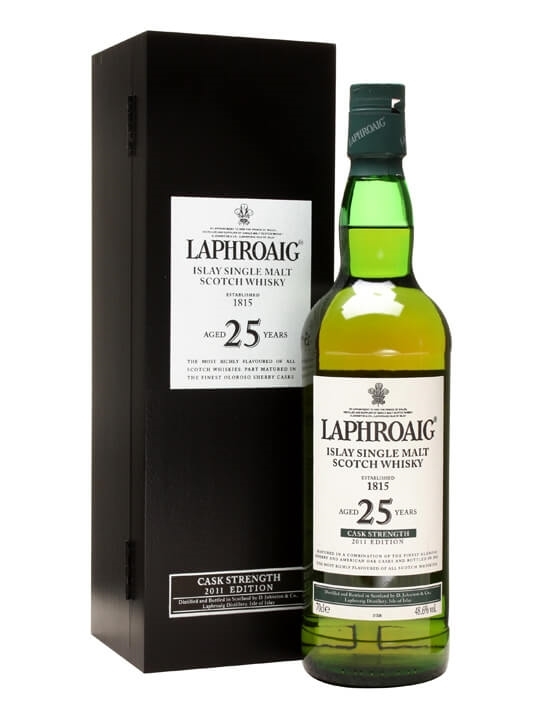 Summary: 70cl / 50.9% / Distillery Bottling – The cask strength bottling of Laphroaig 25yo is a very different beast to the old 25yo (and in our opinion, upping the strength is a big improvement). Rich and smouldering, with a big coal hit and a lingering seaweed character. We said at the time that this was tremendous stuff, and now it's only gone and won the IWSC Trophy for Best Cask Strength Single Malt. 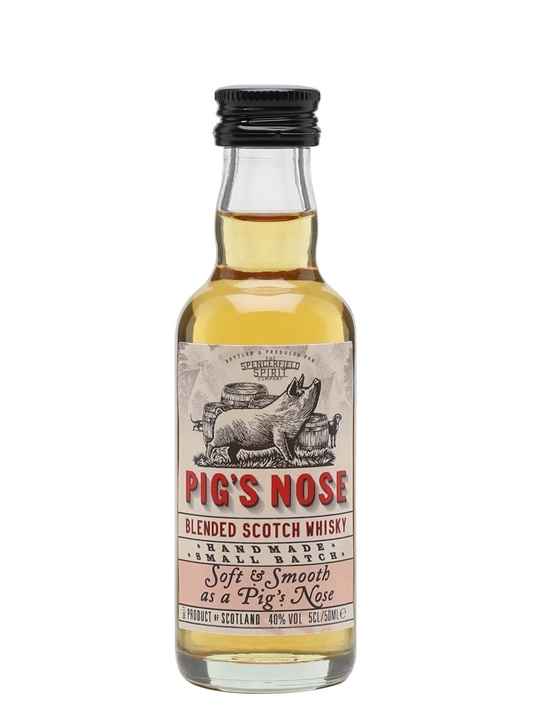 Summary: 5cl / 40% – A miniature of Pig's Nose's blended Scotch whisky. 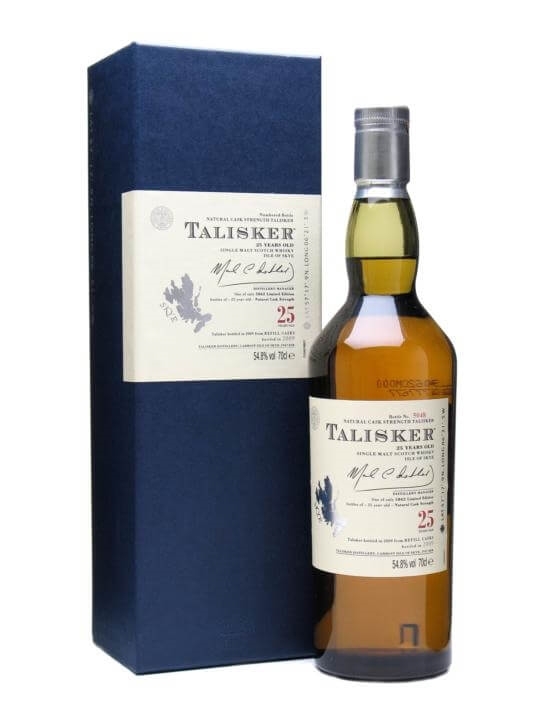 Summary: 70cl / 54.8% / Distillery Bottling – The latest Talisker 25yo is another destined for the pantheon of fantastic expressions of Skye's finest. With a deceptive power hidden in a palate of incredible elegance, this is a classic iron-fist-velvet-glove Talisker par excellence.